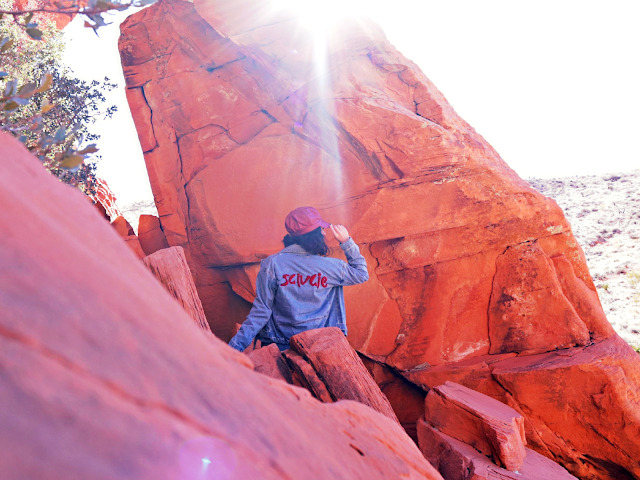 5 MOST INSTAGRAMMABLE PLACES IN LAS VEGAS! Living in the BIG city has its advantages. Living there for more than ten years even more. That's why Las Vegas, the city that never sleeps (literally) feels more like my own backyard. I can't say that I'm an expert, but I do know some cool places that are so instagrammable it'll make your feed blow UP! Whether you're visiting or wanting to find some new locations to shoot at, I'm here to help you out. These are the spots that I seem to always go back to when I want a fun, city backdrop or vibrant colors to catch the eye. Plus, as always, even though I live here, I try to see my city from the eye of a tourist as it makes me want to explore even more and have a fabulous time doing so. So put on your favorite outfit, grab your camera, call your bff and head to these five Vegas places for some fun in the sun!!! The first and most obvious (the reason millions of people visit Las Vegas each year) is the fabulous strip of casinos, shopping centers, clubs, shows... basically everything you ever dreamed off. Each corner is filled with photo opportunities. You would want to take more than one outfit to change into because you'll end up taking more than two hundred photos and the last thing you want is to be wearing the same outfit in all of them hahaha! 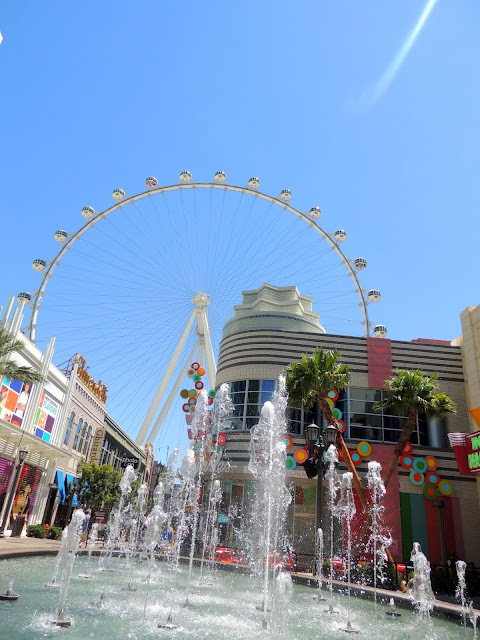 There's lots to do and see on the Strip! No matter the time, keep in mind it's always full of tourists, so don't get discouraged by the moving crowds. You might have to wait a bit for a clear spot, but once you get that shot it'll be goals! I've been to the Strip early mornings, mid-days, late nights and the people only seem to increase in count, so be mentally ready to do it for the gram!!! My favorite places to take some photos are in front of the look-a-like Paris Eiffel Tower, the dancing Bellagio fountains and the High Roller (the world's largest observation wheel). Backdrops like these will immediately enhance your outfit and make for one picture perfect moment. This is my favorite place to shoot at because it's around a thirty minute drive from where I live, there's lots of different colored shaped rocks and there's nothing wrong with flooding your Instagram with some desert vibes. Am I right? If you end up staying at the Red Rock Hotel and Casino, you're in luck, because the canyon is only minutes away. However, far from the Strip! You'll need a whole day of exploring starting from early morning as there are plenty of cute cacti or trails ready to be snapped away. Just know, it's a desert, gets way hot and you've got to wear sunscreen or else you'll end up looking like a red crab in your 10th photo. I'm guessing you don't want that!!! LOL! If you're willing to hike and find along the way a nice stop for photos, why not? I've done that plenty of times as I get a nice exercise and dreamy photos both in one. Plus, your shots will be so unique as not many people will take on a hike for a photo! 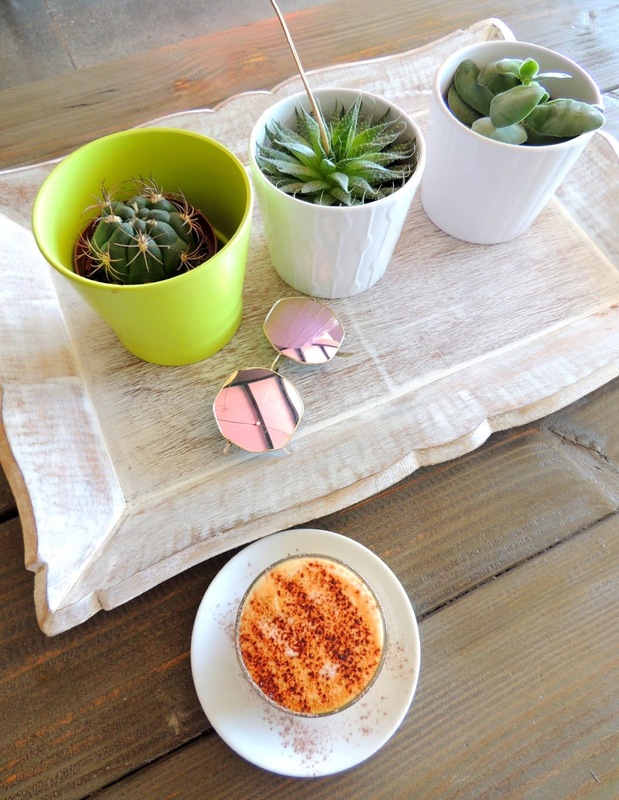 Don't let your Instagram account miss a cute chill vibe cafe like this one. If you're visiting Vegas, you've got to make a stop here for a cup of coffee or their yummy acai bowl. The setting is so bright and colorful, you'll want to recreate it in your own home. At least that's how I felt when I visited it for the first time. As a loyal customer, I went there two days ago and guess what? It was closed for renovation. So I don't know exactly when they're going to re-open, but once they do, I'll be one of the firsts to check it out hahaha! So stay tuned for more information and photos on my Instagram. I'll give you a peak of the new look and I'll let you know once they're open again. Cross your fingers it's very soon!!! If you're into art and like a pop of color in your photo background, Downtown Las Vegas is the place for you. It's filled with the most amazing walls of graffiti as you roam around from one street to another. Your inspiration level will strike at its highest because there is no way for this beauty not to rub off on you. Every time I go to Downtown, I come across something new, cool, that is just ready to be snapped. I even feel like the walls get repainted each time with a new design since I see so many vibrant walls I still haven't photographed at. Here is your chance to take full advantage of these urban vibes and let your creativity shine! 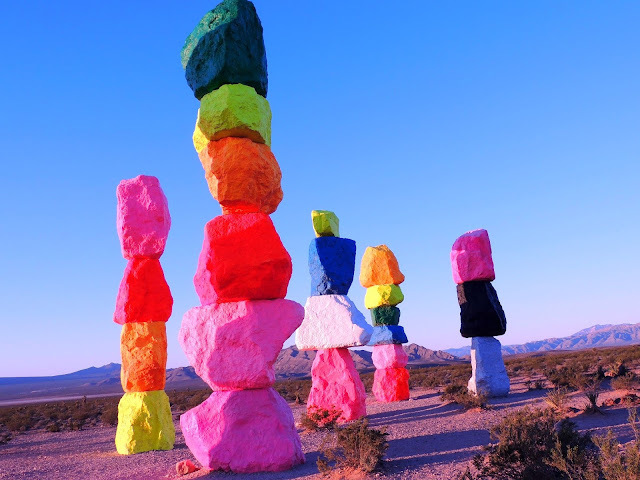 Located a bit outside the Las Vegas desert, you'll find this colorful painted rocks exhibition that is simply a location you must add to your travel list. The best time to visit is as the sun rises to see the amazing hues, colors pop even more from the pretty sunlight. Plus, during that time there aren't many people. We went there in March before sunrise and we were the only ones there, so we had this place all to ourselves for lots of photos and moments to be admired. It is said that this art exhibition will be a two-year one, so visit as soon as you can because later it won't exist, something else will take its place. No worries about paying for parking, parking is free! This place will sure get you lots of Instagram likes and just imagine how pretty it'll look on your feed. So what do you think of these Vegas Instagrammable spots? Have you been to any of them? A few more locations come to mind, so if you're interested I'll make a second part in the near future. Really, I'm so happy to live in a city that is full of adventure, diversity and so much to see and do. It's the BEST ever!!! What do you admire the most about the city you live in? I would love to know!!! great pictures and super fun post! Gorgeous photos and places! Thanks for sharing! I love Vegas....I've been there twice and I cant wait to go back. It good vibes for sure. There some definite a lot of "instagrammable" spots. Nice photos! For sure, it's the best for taking lots of photos. Amazing places :) Perfect for photoshoots. Ohh yes, no doubt about it. Que fotos lindas. Lugar maravilhoso. Such beautiful and colorful photos! I need to visit! These places are stunning! Amazing photos. 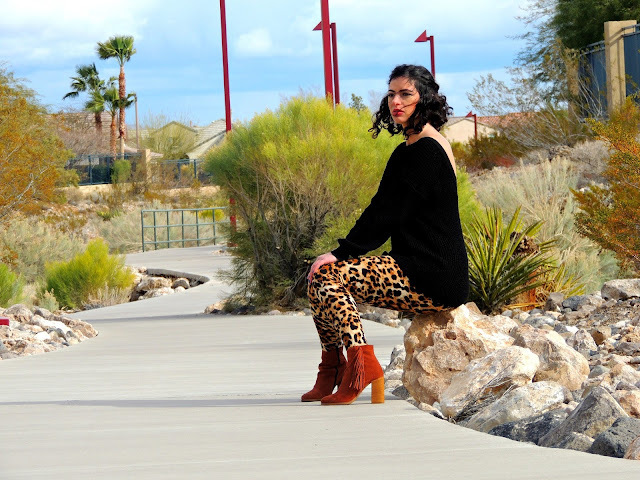 I love each one of the variety of different scenic locales in and around Las Vegas, and love every one of the five different outfits you were photographed wearing in them. The outfits were all pretty and you looked fabulous in all of them. Really amazing post! Love your photos! I miss Las Vegas! The locations mentioned are incredible. Maybe it's time to visit again! Las Vegas is definitely one of my favorite vacation spots! Love your photos! You would love it! 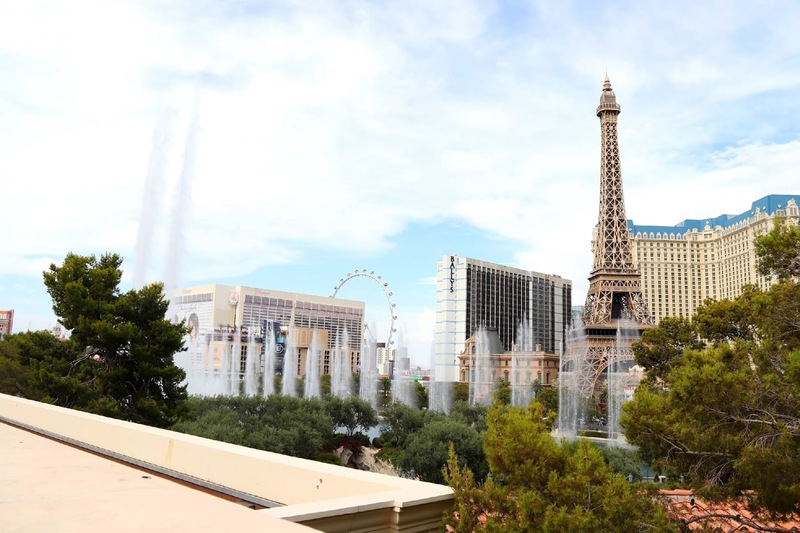 The first time is an unforgettable experience especially exploring the strip. The red rock and seven mountains are my fav. Great post, and beautiful pics! The pictures are amazing! I'd love to visit these places. Thank U! I hope you get the chance to visit soon. The canyon looks amazing! I love taking pictures in such stunning natural places that make you see the greatness of our planet. Great post! You know I lived on the west coast for 10 years and never got to go to Las Vegas though I did get to Phoenix and the Grand Canyon. These spots are great and I recognize that sculpture from when I worked at Vegas magazine. Wow, so awesome that you worked at Vegas magazine. I had no idea. I love reading every new issue. You've got to come for a nice Vegas vacay. I think you'll love it! I haven't been to Vegas in so long that I feel like it's time for a visit in the near future! Love that there are so many different places to check out. I know I'd want to check out the canyon. The juice bar is super cute! 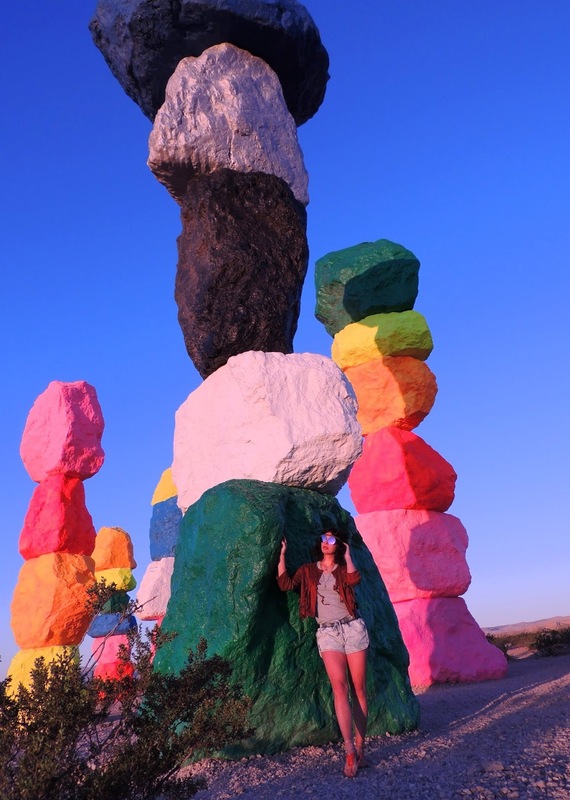 My best friend took a picture next to the seven magic mountains - it looks great! Thanks for sharing these places :). I would love to make a part 2 because there literally are so many places to see in Vegas. The canyon is one of my favorites, close to where I live and always a fun adventure. I'm in love with the photos you took! I would like to visit Vegas, it seems to be a handsome place, and about my city, whats I most admires are the beachs and the parks! Sweet... beaches and parks are my favorite. What city do you live in? Yes, please give us a Part Two!!! I need some inspo for my IG!! You got it Darlene... will start working on it! Vegas is certainly instagrammable. But I had no idea JUST HOW MUCH MORE it is than I've ever imagined. Red Rock Canyon is another level. They all look great, but the colorful rock exhibition is especially lovely. I'd love to be able to see it in person. Oh dear which amazing post! I love all USA and I am dreaming to take my son over there next summer time. In fact I find hard to find a tour operator trip (hotels with flights) from one cost to another! I've been many times on the right side but never in California! I've been at least two times in this cities New York-Montreal-Ottawa-Windsor-Toronto-Niagara Falls-Detroit-Chicago-Cleveland-Washington-Philadelphia and Orlando. I will save this wonderful suggestions of yours, I was only wondering if there are local trips to reach all this places as we will not rent a car. Thank you so much. I really appreciate your comment. I wish I could help, but I'm not so familiar with local trips like that. I know for sure you can book a bus tour from Vegas to the Grand Canyon, but I'm not so sure about San Francisco and Los Angeles. There must be a way for those who don't want to rent a car. I'm sure you can find out if you research it online. Very beautiful places. I'm a geologist, so my favorite place is Red Rock Canyon :D!!! I'm sure you do. You've just got to go out and explore some more. You never know what you might come across to. One night definitely isn't enough. There is so much to see. I hope you get to revisit and enjoy. I haven't been to Las Vegas ever, but if I did all of these would make it on my picture list! those coloured rocks look amazing! Loving the photos darling and all the places you picked. I've been to Vegas a couple of times, when I spent my semester abroad in Orange County, but to be honest, all we did was stay on the strip and went out to the clubs haha! Now I wish I would have visited the surroundings more! The seven magic mountains look amazing, but they were not there when I visited last. I totally get... it's hard to leave the Strip because of how much fun you can have there! LOL. Hope you get the chance to visit the 7 magic mountains. Thanks for sharing Radi. Definitely noted for when I visit LA some day. Ah, I love this post! I like reading/seeing places where people choose to take their IG pics. Vegas looks like so much fun and where great photos can be taken. These spots will definitely go on my list for Vegas. Seven Magic Mountains is my fav, I hope I'll get to see it before they replace it with something else. Thanks for letting me know. I will be sure to do more posts like these! Amazing photos! Great post dear! OMG It's all so gorgeous! Love those grafitti walls!! So colorful and pretty! Thanks for sharing! I would love to visit Vegas one day! 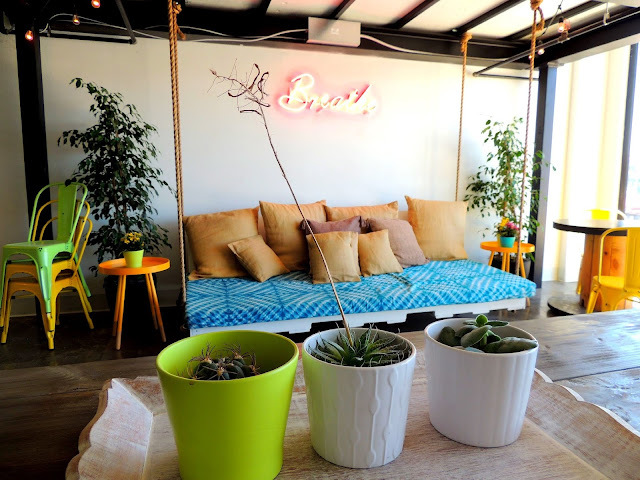 These spots are amazing, I desperately want to visit Vegas now! I've never been to Las Vegas but it is on my bucket list! Those rocks look so neat! Amazing pics, I love the red canyon and the last location, so beautiful! gosh i wish one day i can visit all of them!! and those places you picked are all awesome. Thank you so much Ann! I appreciate it! I would love to visit Vegas soon. The red canyon is one of my bucket list. I've never been to Vegas before, so I appreciate you sharing this! I'll have to make note to visit these spots for whenever I do visit. Thanks for sharing, beauty, and have a great week ahead! My fave is the seven magic mountains! Need to go there! Red Rock Canyon looks truly magical. Next time I will definitely check the magic Mountains! Vegas truly is one of the most IG-worthy cities in the planet. It's simply amazing, especially at night. Your photos are beautiful dear! It really is Jessica. I love it! Love the pics! I love Las Vegas and I really want to visit this magical city! Such a fun post! Next time in Vegas, I need to hit up these spots! Thank U! Glad this gave you an idea for your next visit to Vegas. This is awesome! Now I know places to go to next time I'm in Vegas! What gorgeous places! Thanks for the tips!! There's definitely so much beyond the casinos. A little bit of everything for everyone! wow, great insta inspiration! Your photos are amazing. I hope to visit Las Vegas some day. I'll keep these places in mind. I already imagined that Las Vegas was quite instagrammable but what you shows us is great. I LOVE these photos on the rocks in the desert. And the downtown Las Vegas with this street art is stunning to take pictures, I love your looks btw, And those colorful stones big wowww. Thank you for sharing! Great spots. Those colorful rocks are so fun, loved downtown Las Vegas street arts too. It really does. How nice! These are great Instagram photo locations! I've only ever been to Las Vegas a few times and stayed on the strip. If I ever head back I'll keep these in mind, especially Red Rock canyon! Yep! Love Las Vegas for all it has to offer. What beautiful pictures, what incredible places! I wish that one day I could get to know Las Vegas, it will be a dream come true. I hope this dream of your comes true really soon! Great pictures! I miss Las Vegas so much, I hope I can be back soon and know some of this places cuz I knew more Strip. Amazing photos. It's a beautiful place to visit. Gorgeous photos - especially the canyon! Epic! I want to visit Las Vegas! It seriously looks SO MUCH FUN! Thanks so much for the love. This juice bar is one of my favorites. It feels awesome being there... the vibes are so great! Las Vegas, in Nevada’s Mojave Desert, is a resort city famed for its vibrant nightlife, centered around 24-hour casinos and other entertainment options. Coming across your your post is so perfect as I'm actually going to the west coast in a few weeks! Such nice photos as well. I'll make sure to check these places out. Ohhh this makes me so happy Sheena. Thank U! I've never been to Vegas, but have always wanted to go! I love love that pic of you in red on the red rocks - so chic! Such a cool post! Love all those Locations but my favorite is the red rock Canyon! And all your pics are great! Very nice place and beautiful your picture! All these photos are amazing <3 love the quality and the aesthetics! For me, all places outside Brazil are beautiful to photograph. I can not wait to meet you! I also dream of casinos, even if it's losing money, it seems to be fun. Haha ha! This view of the rocks seems incredible! What a nice coffee place! I hope it reopens soon. I love grafitted walls and with these arts! I was crazy to know where these painted rocks are, now I know and I loved it! Here my city has more landscapes with green and blue because full of beaches and woods. You're so sweet! hahah I hope you win lots of money when you come to Vegas. The beaches of Brazil look stunning. I would love to visit! You have picked all the best spots- Vegas is seriously a gem! I love VEGAS! Thanks for sharing this with us! That red rock canyon is stunning. Vegas is truly beautiful place! And this places are surely INS worthy! I'm keeping a note on this, such a great post! I hope you get the chance to. Thanks Jessica! I love Vegas and your pics are amazing! Qué chulos, me han encantado, un besazo. Means a lot Dominique. Good choice, you won't be disappointed! I love red rock canyon! Hiking there is so beautiful! 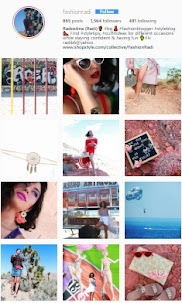 Omg all these places definitely look amazing, need to add them to my travel wishlist <3 Thanks for sharing gorgeous. Add them and visit them asap!!! As fotos ficaram incríveis, gostei muito. I really need go back to Vegas to enjoy this better!! Vegas is definitely an Instagrammable city! I love all these places you spotlighted especially Red Rock...it is such a gorgeous place! So cute! You're so right! That's one of the reasons I don't want to leave this juice bar. Love all the beautiful pictures dear!!!! You look so gorgeous! 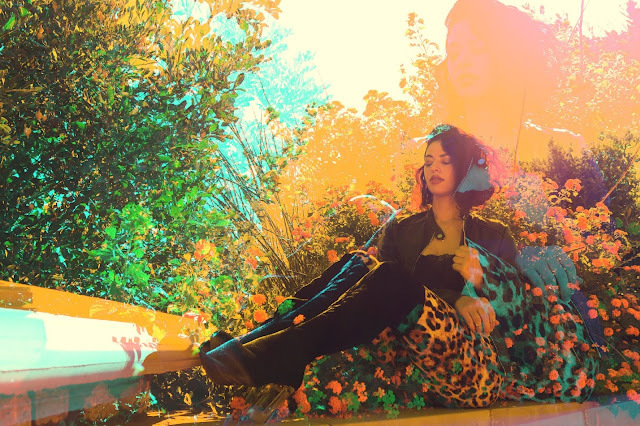 Such beautiful places and outfits.I love the pictures and hope one day I can visit Vegas. Wow. Great photos. I wish my city looked like this, you know, instant photoshoot backdrop! Ahhh love love this girl! will keep this for next time i'm in Vegas!! I agree Vegas is a must! Ohh nice. I love going to LA. The beaches there are great... Laguna beach is my favorite. Oh I would SO love to Vegas! It's such a weird and unique place, I swear it's in my bucket list. I recognise some of those spots and some others not, like the seven magic mountains exhibition. That screams instagram, indeed! I hope you'll be able to check it off your bucket list soon. Thanks for taking the time to comment. Greatly appreciated! I love these photos! Some of my favorite places are the Las Vegas Strip and the Eiffel Tower look a like. Also, I had no idea that the seven magic mountains was a two year exhibit...I definitely need to return to catch them before they leave! Vegas is sooo pretty!! Love these photos! wow!! Las Vegas is amazing! all these places look amazing! 3 WAYS TO WEAR GINGHAM!